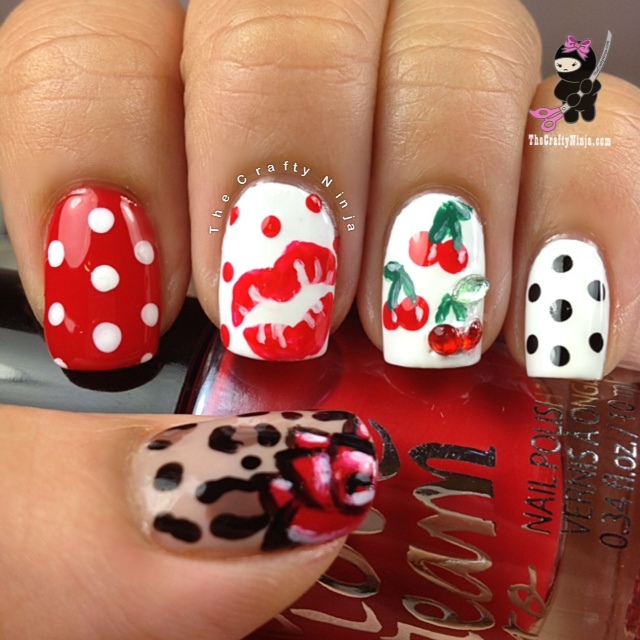 Pin Up nails are inspired by the beautiful pin up girls with big red flowers in their hair, red lips, polka dot, cherry or leopard fabric. I combined these elements to create this nail design. Supplies: China Glaze White on White and Liquid Leather, Essie Au Natural and Mink Muffs, Aero Popsicle Paradise, Bent Tweezers, Nail Glue, Assorted Rhinestone Wheel, Toothpick, Winstonia Brush Set, and Seche Vite Fast Drying Top Coat. Using my brand new Winstonia Brush and Nail Dotting Tool Set. Don’t forget to check out www.winstonia.com and get this set for 10% off using coupon code: THECRAFTYNINJA, this offer is good until July 21, 2013. I got my inspiration from the clothing below from pinupgirlclothing.com. For this nail design I created a #bestietwinnails with the talented Holly of Holly984, which is a nail tag going around Instagram to create similar nail art design with a fellow nail artist friend. 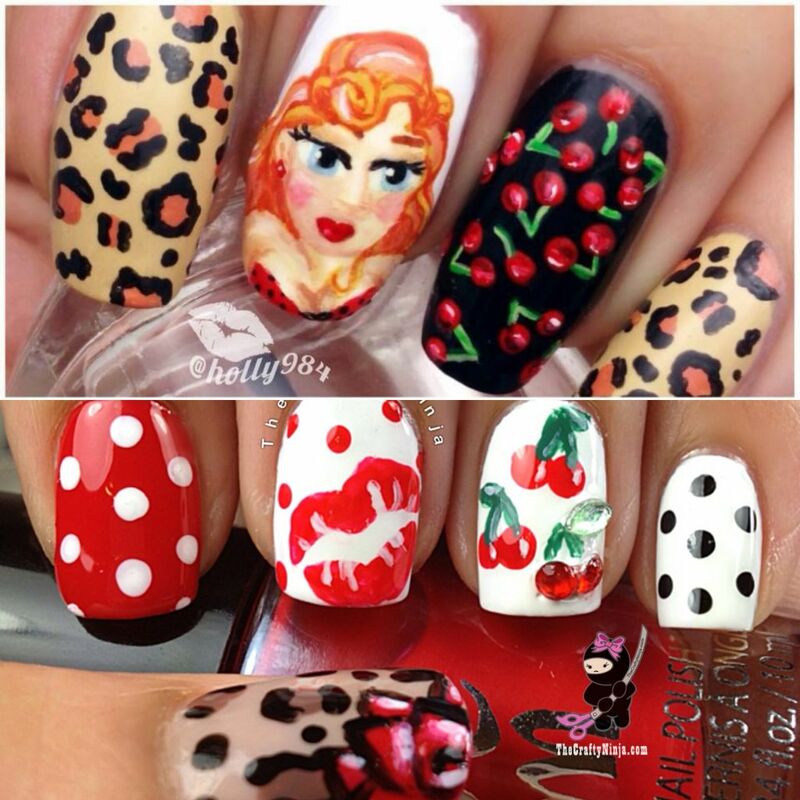 Holly came up with the idea of pin-up style nails, which I loved! 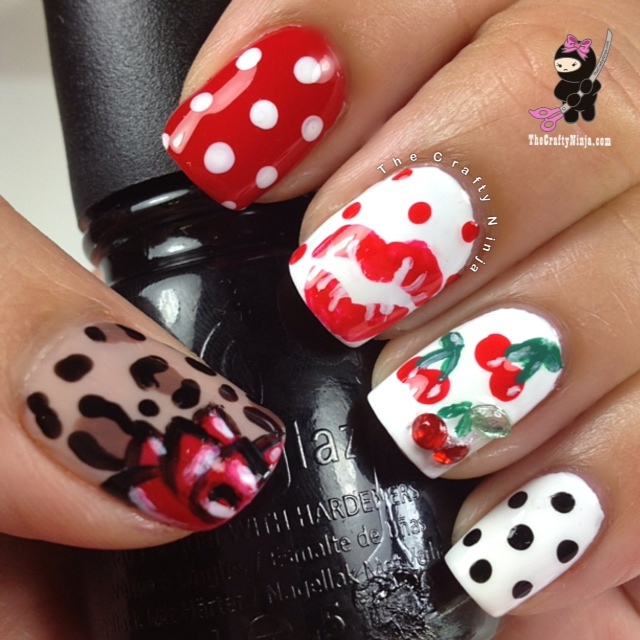 I came up with the idea of the cherry accent nail, leopard print, and red, black, and white as the color theme. I love how we collaborated and came up with two similar but different designs. 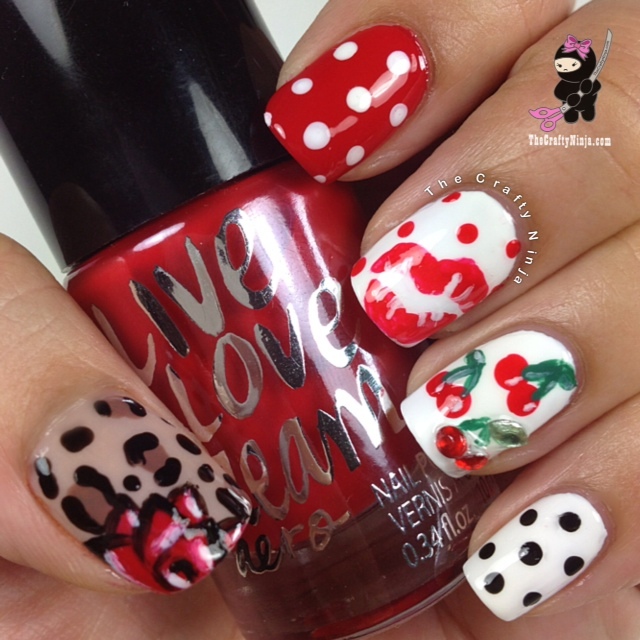 Another View: Check out my nail care products and tools HERE.